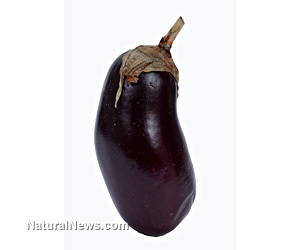 (NaturalNews) Field trials of genetically-modified (GM) Bt eggplant, also known as Bt talong, have officially ceased in the Philippines following a major ruling by the nation's Court of Appeals. Representing a massive victory for food sovereignty, the Court found that Bt talong is a monumental threat to both environmental and human health, and has subsequently ordered that all existing plantings of Bt talong in test fields be immediately destroyed and blocked from further propagation. Like in many other nations across the globe, the biotechnology industry has been craftily trying to sneak its genetic poisons into the Philippines under the guise of improving crop yields, reducing chemical use, and yada yada ad nauseum - all the typical industry propaganda and lies used to convince the more gullible among us that GMOs are some kind of food production miracle. But the Philippines is not buying all the hype. And unlike the U.S., the southeast Asian country is taking a bold stand against a technology that has never been proven safe or beneficial in any way. According to the non-profit advocacy group Greenpeace, which has been working on behalf of humanity to stem the tide of GMO onslaught all around the world, the Court recently issued a "Write of Kalikasan," which basically means that all field trials of Bt eggplant in the Philippines must stop. The Court also ordered that the biotechnology aggressors "permanently cease and desist" from conducting further trials, as well as "protect, preserve, rehabilitate and restore" all the land they have destroyed in the process. "The field trials of Bt talong involve the willful and deliberate alteration of the genetic traits of a living element of the ecosystem and the relationship of living organisms that depend on each other for their survival," states the ruling. "Consequently, the field trials ... could not be declared by this Court as safe [for] human health and our ecology, [since they are] an alteration of an otherwise natural state of affairs in our ecology." Everything about this common-sense decision by the Filipino justice system makes perfect sense - GMOs definitively spread their poisonous traits throughout the entire ecosystem, contaminating other crops along the way, and thus have no place in agriculture, period. But sadly, such common sense no longer exists in the U.S., where corporate greed and fundamental corruption have essentially placed profits before people in every aspect of life. "We commend the Court of Appeals for living up to its constitutionally-mandated role as protector of constitutional rights," said Greenpeace Southeast Asia Sustainable Agriculture Campaigner Daniel Ocampo about the Philippines rejecting GMOs. "This landmark decision reflects that there are indeed flaws and lapses in the current regulatory process for Genetically Modified Organisms (GMOs) such as Bt eggplant which exposes our environment and health to unknown long-term consequences and does not establish their safety in any way." Meanwhile, millions of acres of uncontested GMO crops in the U.S. continue to ravage both human and environmental health while the hordes of mindless puppets in the U.S. Congress ignore the issue or even pretend that GMOs are not an issue. But this new American pastime of greed and denial about reality will not last forever, as nature will eventually catch up and extinguish this agricultural scourge with "superweeds," "superbugs," and disease - that is if the American people do not take action first to forcibly cleanse their nation of GMOs. The question is, what will it take for the people to wake up and take action?